Ashley Browning creatively uses her photographic and graphic skills to create imagery that captures a moment or life in contemporary Pueblo culture. This digital photo is called, “NDN iPhone”. The hand model is Shaandiin Tome. Ashley says of this piece, “It has hand drawn icons that are a Native version of iPhone apps, it is placed that are set on top of Montana Tee Pees. 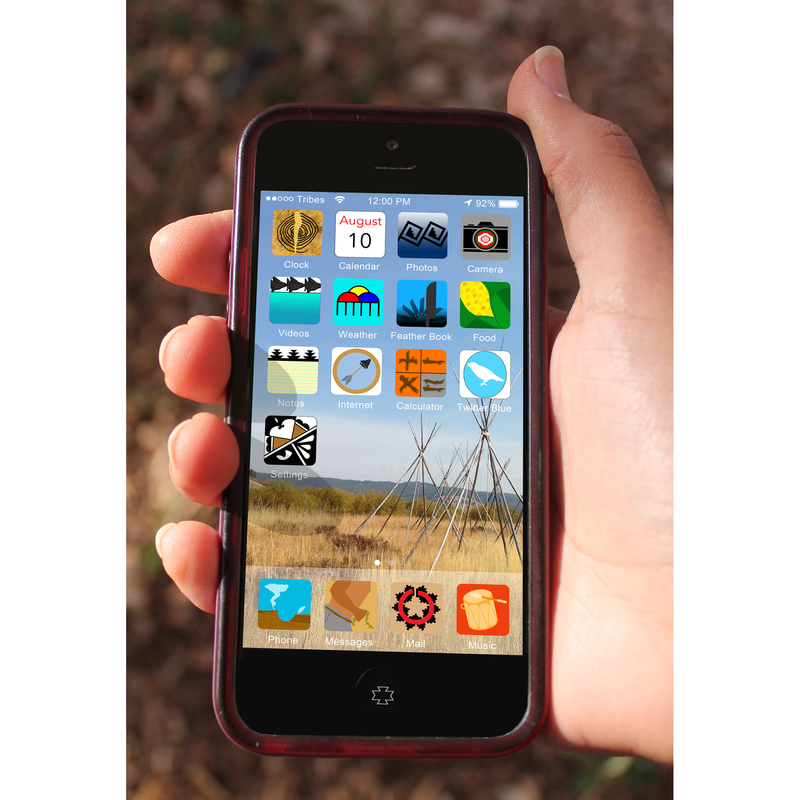 So cool, it should be made into an actual apps.” Take a closer look a few of the apps, as they certain capture the life of many Native artists. Ashley certainly has an extraordinary sense of cultural critique in her artwork. The first in this series won a Second Place at Santa Fe Indian Market in 2015. There are 10 pieces in the edition and it is framed in a black frame.